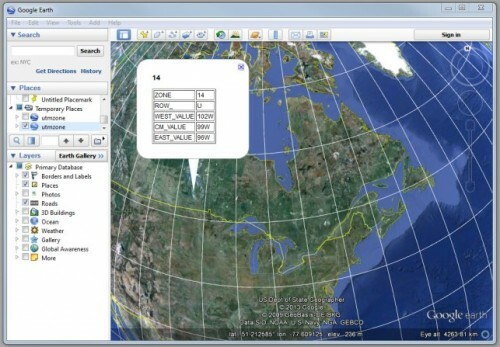 Here is a neat little Google Earth file that has often been helpful on many of my field trips when I needed to know what UTM zone I was working in. 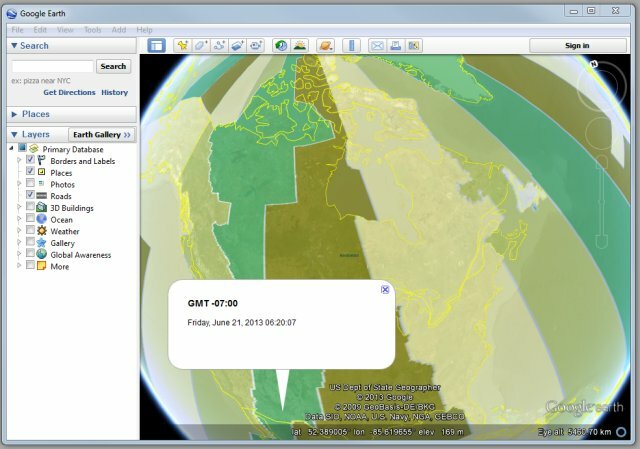 Just open the file in Google Earth, then point and click your location to get info on that time zone. 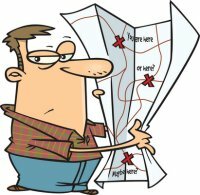 Before I found this neat little resource I was using a large JPG image that showed the zones witch I have available here. I originaly found this file on Google but have not been able to find the original download source (have found other versions) so you here you can download my working copy here . Every now and then I come across some little utilities that help to make things easier while working in the field and these pages are mainly my way of sharing them with others while creating a go-to place where I can easily find them when I need them. 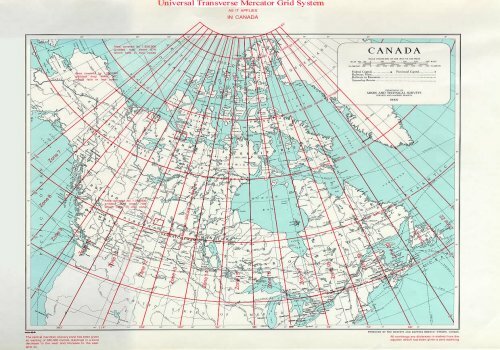 If you know of any other mapping related utilities like this then let me know and I may include it here on my site with the others.